Those expecting Halo 5 to show its face this year are out of luck. Steve Downes, the long-time voice actor for Halo protagonist Master Chief, told Gamezone that Halo 5 simply won't be arriving until 2015. You should take the Chief's words with a grain of salt, though. He may be the star, but he's not the developer. 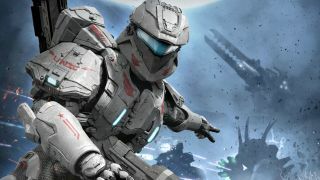 The wait may be long, but to tide you over a 10-year anniversary version of Halo 2 will likely pop up for the Xbox One and Xbox 360 in 2014. It's sad we won't see a new Halo but a revamped game with killer graphics for the next-gen console sounds cool, right? We'll be here all year with blips for you (and after that, and after that ...).